As of 1903 version (also known as code 19H1), Windows 10 will keep an average storage of 7 GB from your SSD disk to manage updates and ensure performance for your operating system. The original ad indicates that the reserved space can not be disabled. 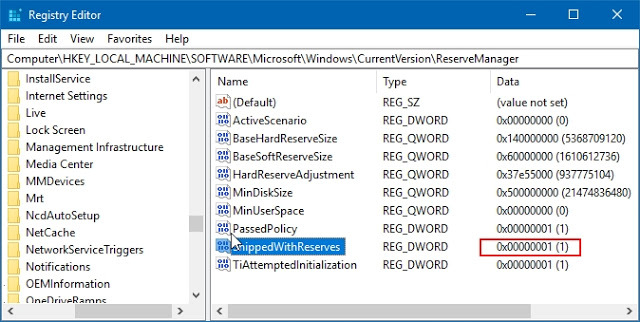 However, the method has been discovered, and you can now disable the reserved space on your computer by Windows Registry. 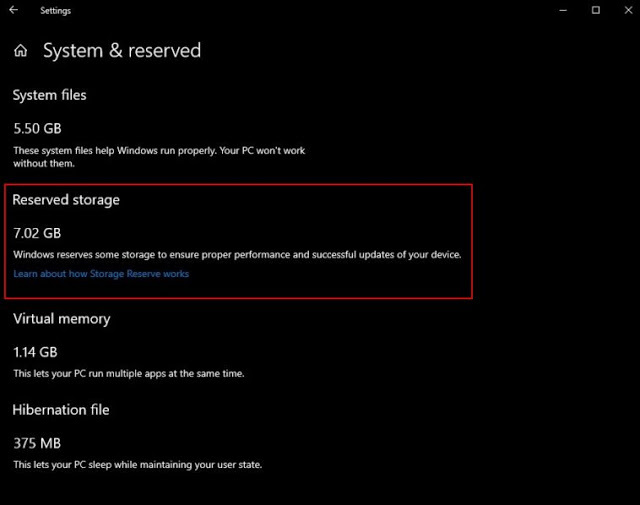 How to deactivate the reserved space in Windows 10? HKEY_LOCAL_MACHINE \ SOFTWARE \ Microsoft \ Windows \ CurrentVersion \ ReserveManager. You'll see DWORD value that is defined as 'ShippedWithReserves'. Click it twice, replace the number 1 with 0. Close the editor and restart the computer. This should be enough, but if you decide to reactivate the reserved space in the future, replace the number 0 with 1 in 'ShippedWithReserves' and restart the computer.